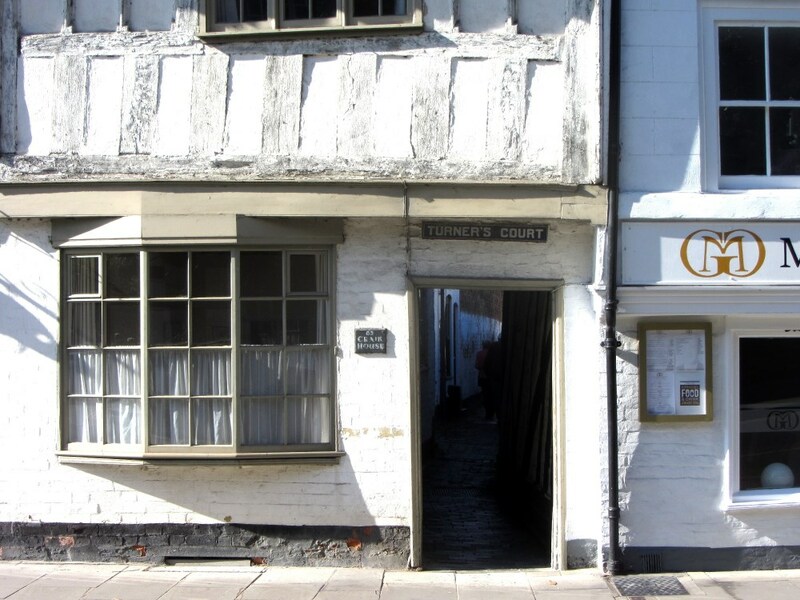 Turner’s Court, off Church Street, is shorter than the alleys in the High Street or Barton Street, but no less interesting for that. Despite the ‘Court’ name, it’s a public right of way, having been adopted as such in 1929. The residents had petitioned the Council to pave it as it had been used by the public for above 20 years. The council agreed on condition that the residents paid for essential drainage work beforehand and relinquished their rights over the court. This they did, and it became an alley, though not in name. Like many alleys, the name comes from a past occupant of the ‘front house’. In this case Mr Turner, a stocking knitter, though some say that William Turner, the artist, (Not the more famous JMW Turner) stayed there and gave it its name. Once, there were five cottages and part of the garden of Gainsborough House; (81 Church Street) in the alley. 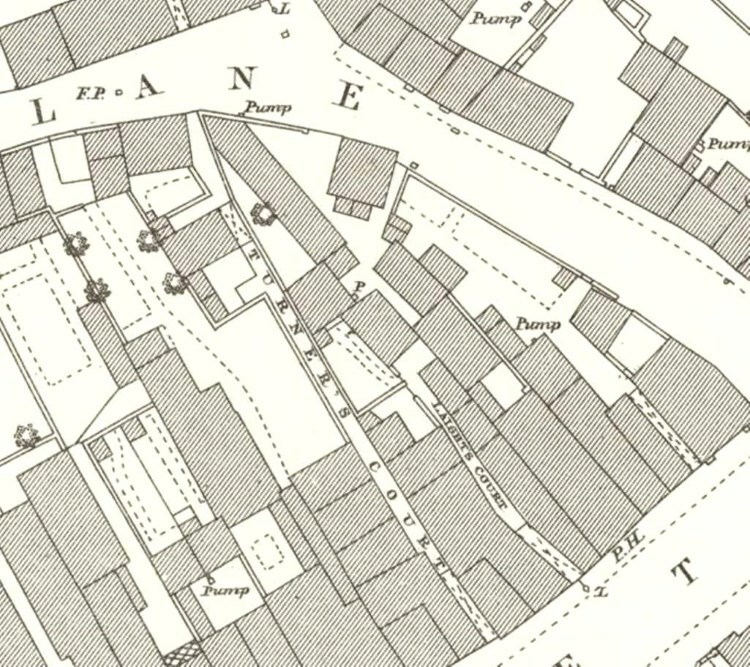 In 1868, the sale of the late Nathaniel Chandler’s property included Gainsborough House and two cottages in Turner’s Court which had been converted into a warehouse. They were converted back and occupied by families until quite recently. The three cottages at the top of the alley proved too small for modern life. No. 1 was added on to 82 Church Street; Nos. 2 and 3 were converted into a single house. At the other end of the alley, the cottage fronting St Mary’s Lane was demolished and the site is now a garden. Only one cottage remains unchanged. In common with the rest of Tewkesbury, drowning was an ever-present danger and Turner’s Court seems to have had more than its share of tragedy. In 1902, the four years old James Green drowned in the Swilgate when his grandmother sent him home, unaccompanied, from her house in Parker’s Court, Barton Street (behind the vet’s surgery), back to Turner’s Court. He strayed down to the Swilgate, and fell in. In 1927, an even younger child, William Bullock, was playing with his little brother at a house at the St Mary’s Road end when he wandered away. After six days’ searching, his body was found floating by the Abbey Mill. Charles Bostock’s drowning in 1913 was different. He was a 31 year old father of three who was on the Ham close to the Quay when he heard a cry for help. Despite not being able to swim, he jumped in. Jessie Hopping, who had fallen in, was rescued but Charles Bostock and Jessie’s nine-year-old brother Charles both drowned. In 1941, Charles Bostock’s son, Sgt. John Bostock of the Worcestershire Regiment, was killed in action. The strange case of Conrad Strawford reminds us of the food crisis in the war. In 1942 he was brought to court by the Food Control Committee, and found guilty of wasting hard-to-buy oranges, for which he was fined 10s. He had somehow obtained a case of oranges, which were extremely scarce, from Liverpool and used them for practicing a party-trick by cutting them in two without them appearing to be cut at all, and then letting them waste. The magistrates took a dim view of this, though they said they’d let him off lightly. Two years later, Mr Strawford, aged about 70, was found lying dead in front of his open front door, at 2 Turner’s Court. The alley’s appearance hasn’t changed a great deal over the years. Houses have been modernised, of course, but there has been no clearance except the cottage on St Mary’s Lane, no additions and no intrusions. It is a lot quieter than it once was, but it is clear that the residents care for their alley. It has a lot to commend it. While we were researching the foundations in the garden of No. 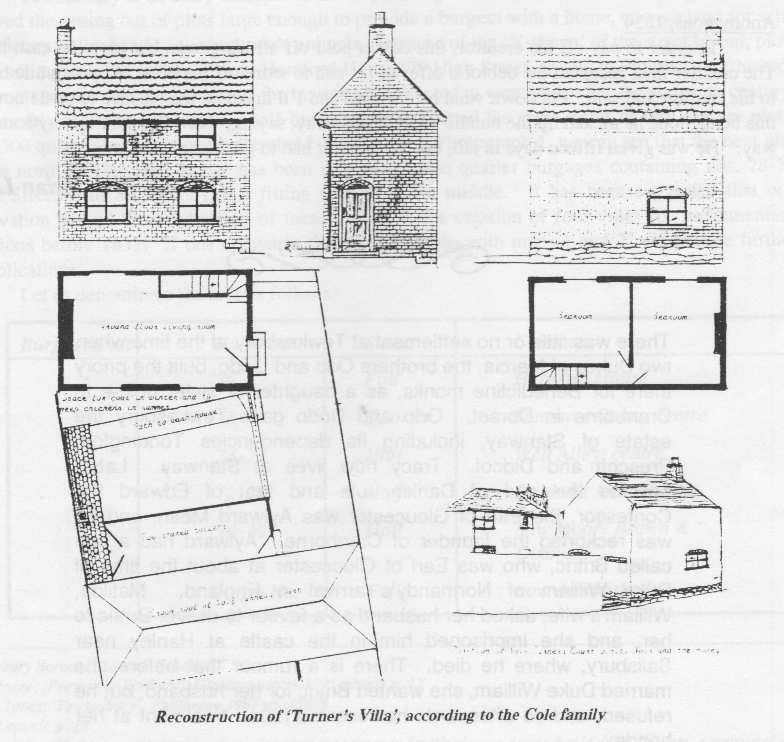 3 Turners Court, we were told that a Mr. Cole, of 16, Church Street, might be able to help us. 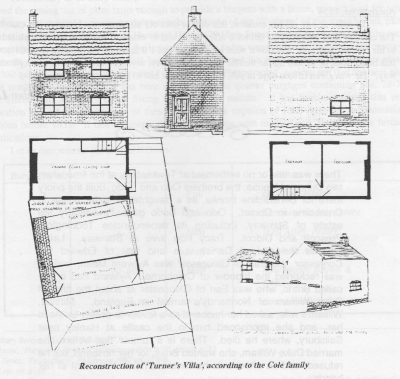 Mr. Roy Cole was born in what his family knew as Turners Villa, No. 4 Turners Court. According to John Rodgers, before 1900 there were five houses in the court, but the two smallest, numbers 2 and 3, were made into one, so when Roy was born in 1924 the house number would have been 4. "It had three rooms, one on the ground floor and two bedrooms above. The only door opened into the alley. There was a small yard with a wash-house and a furnace with a boiler in it, a small space where coal could be stored in the winter, and a few chickens kept in the summer. The yard had an iron gate entrance from the alley, with iron railings on top of the low wall, which ran as far as the next wooden door, which was the entrance alongside no. 3 to the two communal toilets. Water was drawn from the communal pump in front of the garden of no. 3." Four windows overlooked the yard; one window on the ground floor was in the wall along St. Mary’s Lane, but it had to be kept closed as there was no pavement and people or vehicles could bump into it. The house was built on old foundations which could be seen on the roadside rising to about 18 inches (45 cms.) at which point the red brickwork commenced. The property was built in the main of brick with one chimney and a clay cut- tile roof." Cecil Edgar Cole married Alice Maud Summers in 1903, and they moved into no. 4 Turners Court in the same year. Roy Cole was the last of eight children to be born in the house, where his mother lived until 1953.